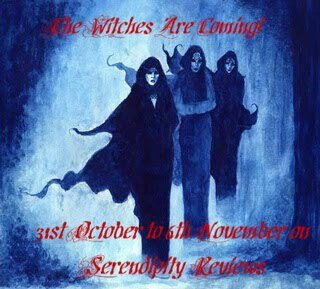 As the week draws to an end, I thought I would give a round up of all the fabulous witch posts that I have shared with you this week. I hope you enjoyed my week of witches as much as I did. I might just do another one next Halloween. We will have to wait and see. Awesome week - congrats for such a great job. I've missed this weeks posts as I've not been online much, but these sound awesome so I'm going back to check them all out. Thanks for the round-up. Emma - only just noticed the 500 followers bit! Thank you. The Slowest Bookworm - no worries. We can't be on here permanently. Raimy - we will have to see.